Sean McMahon works with key partners to champion farmer engagement and adoption of conservation practices that improve water quality. Sean has more than 20 years of experience in conservation and agriculture including leading diverse coalitions dedicated to improving water quality. He formerly directed The Nature Conservancy’s (TNC) North America Agriculture Program. He also served as state director of the Iowa Chapter of TNC where he chaired the Iowa’s Water and Land Legacy campaign. Prior to that, he directed national land stewardship campaigns with the National Wildlife Federation. Sean served in a variety of senior staff positions at the U.S. Department of the Interior. Sean is a member of the Farm Foundation Roundtable and serves on the board of the CropLife Foundation. He is also chair of the Conservation Reserve Program Subcommittee of the Iowa NRCS State Technical Committee, serves on an advisory body for the U.S. Soybean Export Council and the Iowa Farm Environmental Leader Award Selection Committee. 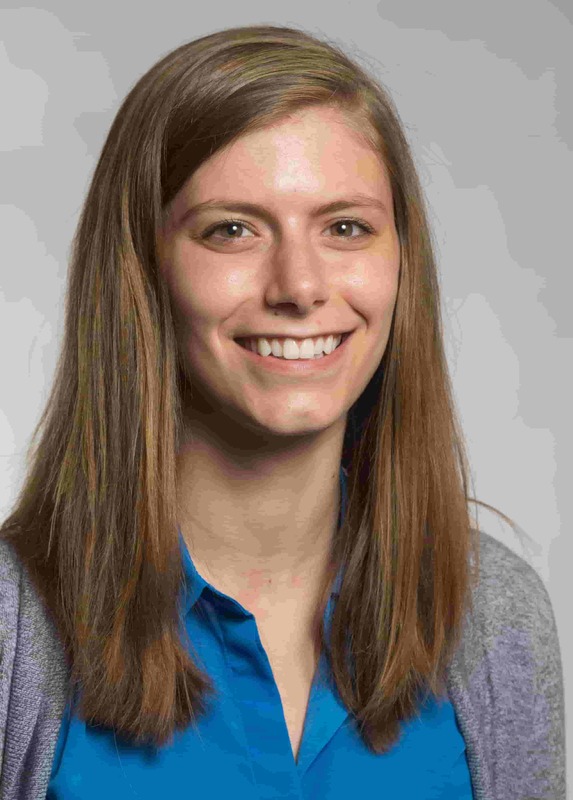 While Sarah Feehan’s original roots stem from the heart of Illinois, she’s been growing skills in Iowa as a future communicator. Sarah is studying journalism and mass communication with a minor in political science at Iowa State University. She immediately began seeking out ways to develop her passion and became an editor of the Letters magazine during her Freshman year, started a new online publication called Spoon University, and maintained a high GPA while holding a job. Sarah has also held leadership positions on the Emerging Greek Leadership Council, Greek Relations Executive Council, Fraternal Values Society, and as the Continuing Education Chairwoman of Delta Delta Delta. She will use her leadership, media, and communication skills to help IAWA plan outreach events. She will also create materials for social media that support improved water quality and the profitability and competitiveness of Iowa farmers. Sarah can’t wait to combine her creativity, care for the environment, and desire to make a positive impact while working with IAWA as a Communications Intern. Jim Jordahl helps farmers and environmental experts implement conservation practices and innovations that have a positive impact on water quality. Jim brings more than 30 years of experience working in farming operations, soil science, engineering and environmental science, and project management to IAWA, including over 6 years of experience working directly with Iowa farmers to apply conservation practices. He has worked in various aspects of nutrient management including advising wastewater treatment facilities on land application. While gaining most of his expertise in the United States working for public and private entities, Jim also has worked on water quality projects in a number of other countries. He leverages all of these experiences to coordinate water quality efforts of key partners and plan and manage projects and proposals. Kaitlin touches nearly every corner of our work. She organizes meetings and events with internal and external partners, assists in funding development, helps track budgets and provides support to the communications team. Kaitlin grew up outside of a small town in Northeast Iowa where she gained working knowledge of farm life through summers of rock picking and detasseling; and through chores on her friends’ and neighbors’ farms. As a result of these experiences, she developed a passion for agriculture. This passion grew throughout her year-long communications internship with IAWA while she was still a student at Iowa State University. She brings this knowledge and passion to her role and looks forward to helping urban and rural entities work collaboratively to improve water quality.